This Hubble image displays a pair of spiral galaxies with swirling arms. The binary galactic system is located in the constellation Draco, about 350 million light-years away. 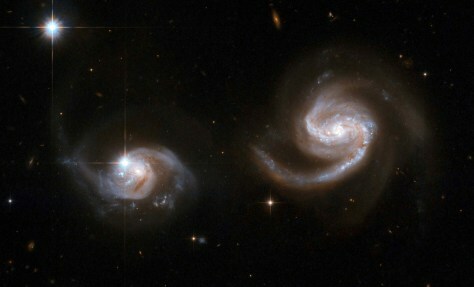 Astronomers studied galaxy pairs like this to determine the geometry of the universe, which shed light on dark energy.